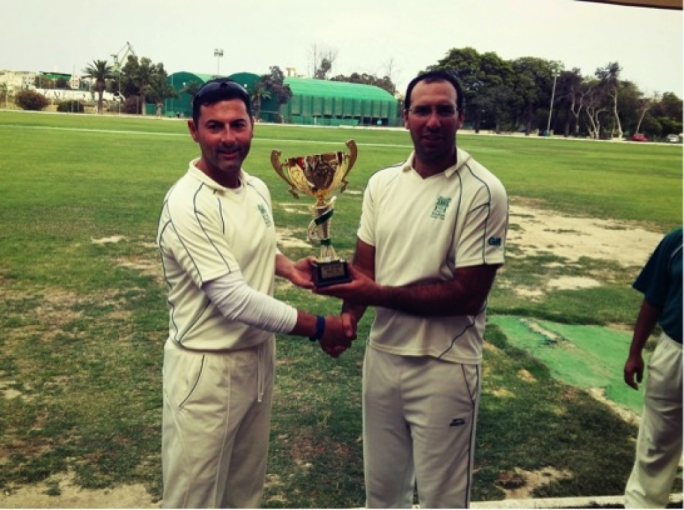 The Melita team batted first and opened up with the most reliable batsmen they have, Tim Wheeler and John Grima. Grima played a different role then normal trying to hit hard and finally was bowled for eight runs from ten balls. Mark G Sacco came in and put on a thirty eight run partnership before he was caught and bowled by Sean Byrne (Bradley) for twenty seven runs from twenty three balls which included one boundary. Wheeler’s marathon innings came to an end when he was Jim Hunter’s first wicket. Wheeler made sixteen runs. Adam Krishna matched Grima’s score before becoming Hunters second wicket. Powerhouse Derek Ali was going along his merry way scoring twenty eight runs from twenty five balls hitting two fours and a six before he top edged a ball which lobbed high towards the bowler (Jim Hunter, third wicket) who took the catch, the bowler was a bit worried as the keeper was also running for the catch, but eventually stopped. Pierre Naudi also made eight runs before being stumped. Andrea Caruana did well occupying the crease, Caruana has come up through the academy. Again the Overseas struggled in the batting department, they were bowled out for 61 runs. Mike Caruana scored thirty of them, while Sean Byrne scored twelve, Jim Hunter four runs, Alex Taylor three runs and there were twelve extras. Mark G Sacco was the main wicket taker for Melita with three. 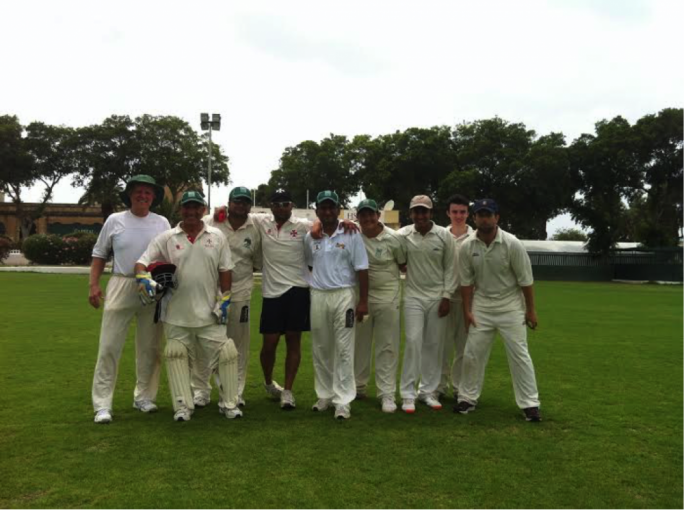 Six bowlers Adam Krishna, John Grima, Tim Wheeler, Pierre Naudi, Dave Borg and Derek Ali, all took a wicket each. From the win Melita earned nine points while Overseas earned one. Melita will take on Krishna C.C next Saturday, where they will be crowned champions whether they win or lose. Krishna will be looking to win to be the runner’s up. 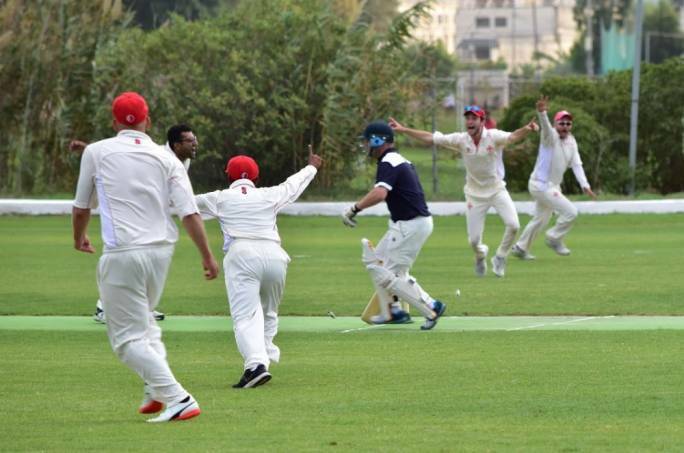 Last Sunday the Malta Select team took on the Rest, where the Malta team batted first and totalled 163 runs of which Nowell Khosla top scored with fifty six runs. 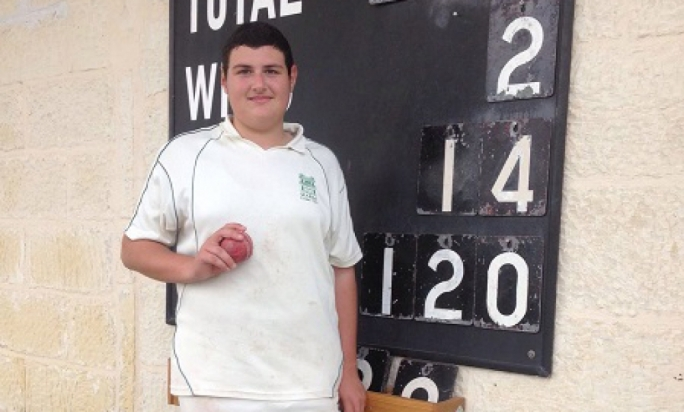 The Rest batted well but could only score 134 runs where Sam Aquilina top scored with tenty eight runs.